Open from 11am until 6pm this is a great opportunity to see our latest works. There's also an opportunity to buy work direct and commission work in time for Christmas. Beth Mander - Ceramics - this will be the first Christmas open studios for Beth. Maggie McCarthy - Antiques. 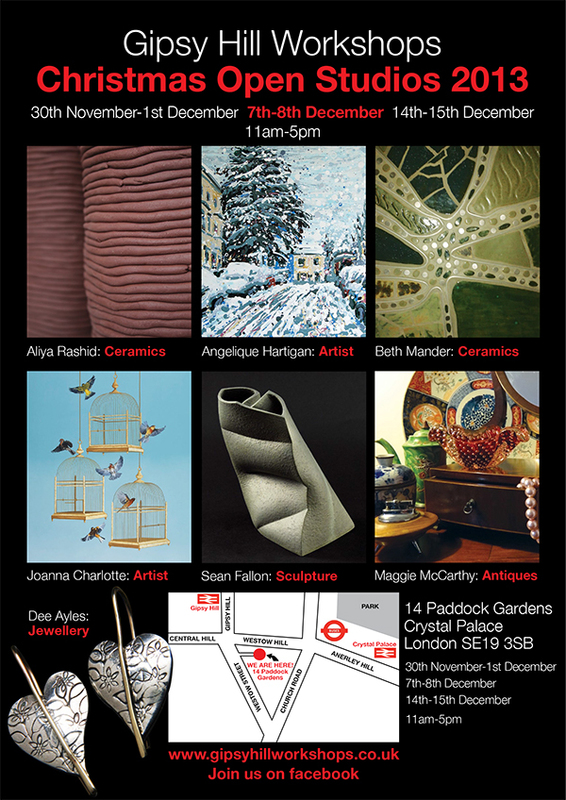 - this will be the first Christmas open studios for Maggie.